Give me an excuse to bake and I am on it. A fabulous couple I know invited me to dinner recently so I was excited to wow them with a favorite sweet treat of mine. I used to make my mom’s Black and White Cheesecake Brownies quite often and I had forgotten about them until I recently reorganized my recipe binder. 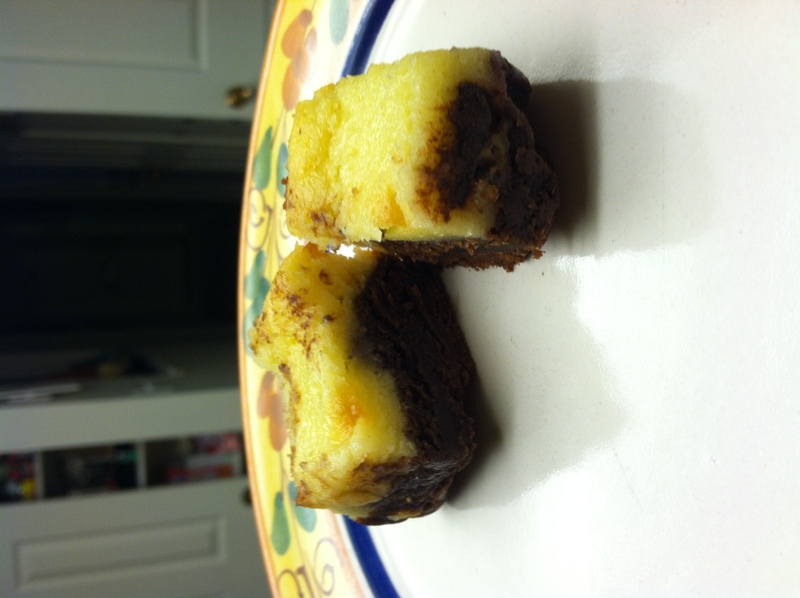 Think decadent rich brownies with creamy cheesecake on top dotted with chocolate chips. Really you can’t go wrong with this marriage of my two favorite desserts. My only tip is to use mini morsels for the chips, as regular sized chips are so heavy they will sink into the cheesecake layer when baking. This isn’t a bad thing because it creates a melted chocolate divider between the two layers, but the cheesecake is better with the tiny chips throughout. Everyone enjoyed these brownies at dinner and had seconds (myself I had like thirds, fourths and fifths until I was in a brownie coma). Brownie Base: Melt over hot (not boiling) water, 1 and 1/4 cups mini chocolate chips, stir until smooth. Set aside, to cool slightly, but don’t let it thicken or harden. In a large bowl combine butter and sugar, beat until creamy. Add eggs, vanilla and salt, mix well. Add melted chocolate and flour, mix well. Spread into foil lined 9-inch square baking pan. In a small bowl combine cream cheese, sugar and butter, beat until creamy. Add eggs, one at a time, milk (slowly), flour and almond extract. Beat well. Stir in mini chocolate chips. Pour over brownie base. Bake at 350 degrees for 40-45 minutes. Cool completely, cut into 2 and 1/4 inch squares, makes 16 brownies – or one giant one if you don’t want to share. 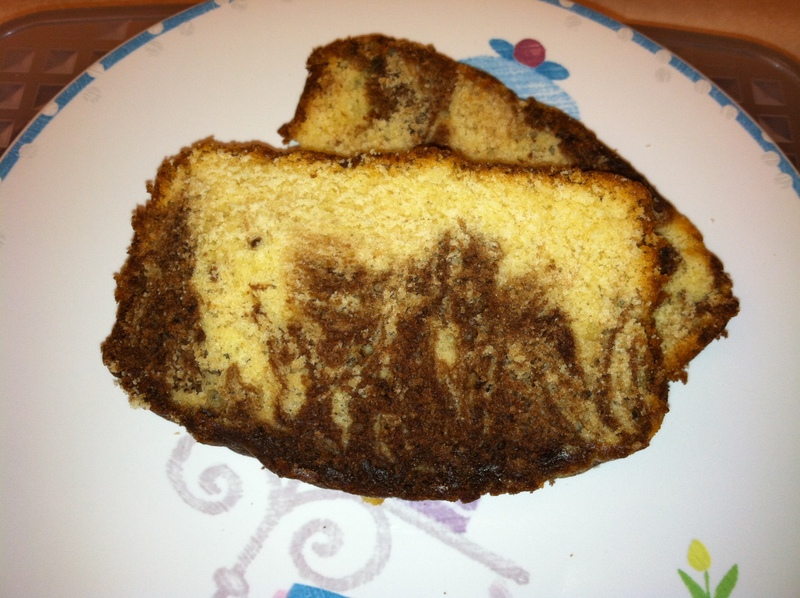 In my attempt to bake things that are not bad for me I found this great Chocolate Vanilla Swirl pound cake recipe. It was from a spa resort restaurant where they try to make lighter dishes that taste good. I was initially looking for a recipe that had turbinado sugar in it, aka “sugar in the raw” because I was trying to use sugar in its natural form, not processed sugar. Oh and I didn’t make the “fantasy fudge sauce” listed but I took about 1/3 of the batter and just added 2T of cocoa powder and the 1/4t baking soda to it, mixed it and then swirled that chocolate version into the cake and it came out great. Supposedly this pound cake is also low fat too, can you say “Winning”? Though most pound cakes taste better to me the second day when they have cooled, this one tasted even better fresh out of the oven. So if you want to bake but don’t want the guilt or the pounds in regular pound cake (most recipes are loaded with pounds of butter) give this resort recipe a try and take a guilt free vacay in your kitchen! Put cheese, nuts and basil in food processor. Start it up and drizzle in the olive oil slowly. Process it until it makes a nice pesto consistency and add salt and pepper to taste. Don’t bother warming it up, just toss it directly into the hot strained pasta and it will do its job. You decide how much to use, save some for later in the fridge and add to pizza or garlic bread, manga! So this weekend I tried out two new recipes, its a day of adventure over here in titillating Lemoore. First we had brunch with some pancakes I saw on The Chew, that were made by Gwenyth Paltrow’s late father and then for dinner I am testing out some new pizza dough. My regular readers know I always use my go to recipe of King Arthur Flour’s Now or Later pizza for my dough but I had torn this new recipe out of La Cucina Italiana magazine and I was dying to try it. Pizza Margherita is a work of art, seriously it looks like an edible Italian flag! I was so excited to try this authentic Italian recipe. The special 00 flour can be ordered on King Arthur flour’s site for only about $8. I love trying new recipes and learning about cool new ingredients. San Marzano tomatoes are available in most grocery stores now, even our base commissary has them! This pizza dough is a 3-4 day process. I started on Friday. It has to sit in the fridge for a bit so make sure you read ahead to that step, as I was going to make it for Friday’s dinner and got it all ready only to find it had to hang out in my fridge. My mom thinks the dough didn’t look promising (have some faith Mahgie, when does my cooking ever turn out bad?) she likes to stick to the King Arthur version I posted above. The dough didn’t rise as much as the recipe said it should have, which I think is due to my yeast being not fresh enough and the water and yeast solution not being “creamy” enough as listed in the first step. But the dough was soft and it rolled out fine and I thought it tasted amazing. It totally brought me back to Sicily and it tasted like Authentic Italian pizza. I topped one with the margherita toppings and then I went to town on the other one, using proscioutto, genoa salami, fresh mozzarella, romano, marinated artichoke hearts, mushrooms and a few dots of my homemade pesto in addition to the regular sauce. The texture of the dough was almost like pita bread or a Boboli pizza but to me it was simply delicious. 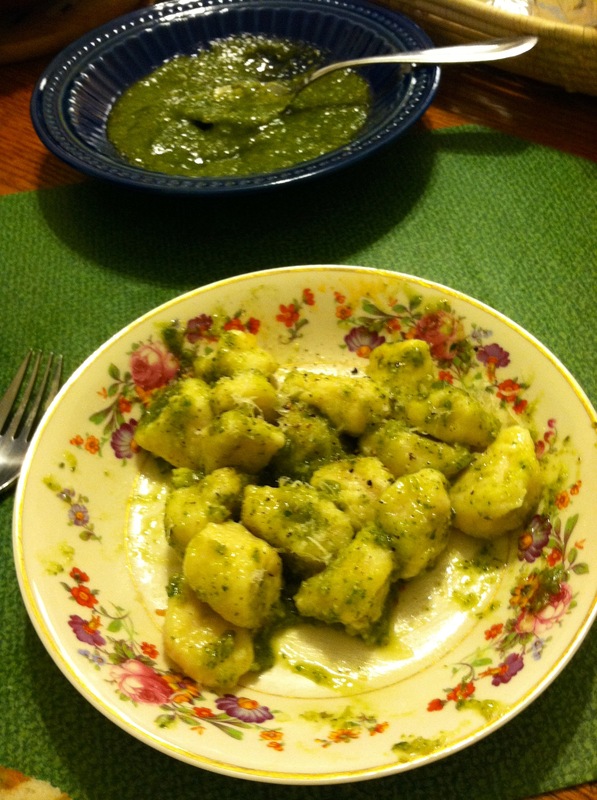 My kids loved it as it was not as crispy as the usual recipe and it was nice and soft, which they preferred. 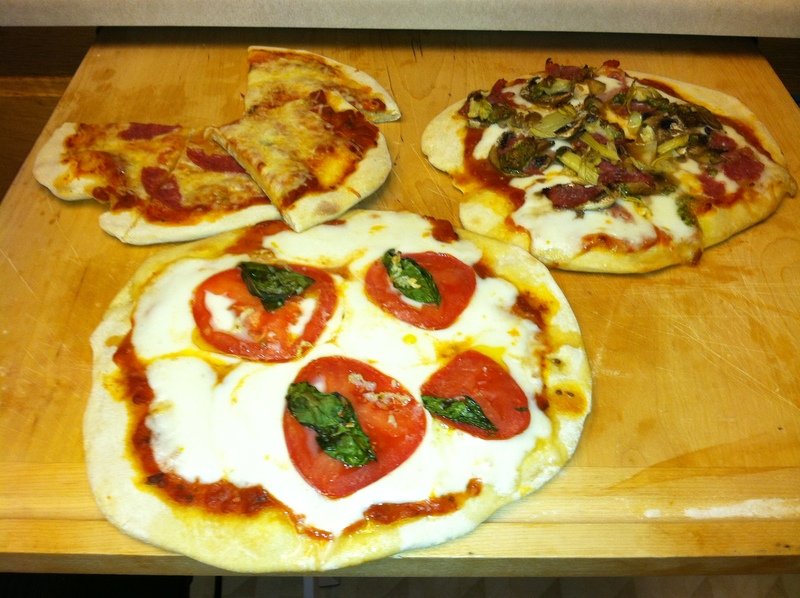 The four balls of dough made 4 mini pizzas and everyone got to make their own. I will try this recipe again and I will buy a fresh packet of yeast to scoop out of rather than using the jar in my fridge, which says 2013, but if it has sat for a bit it looses its fizz. 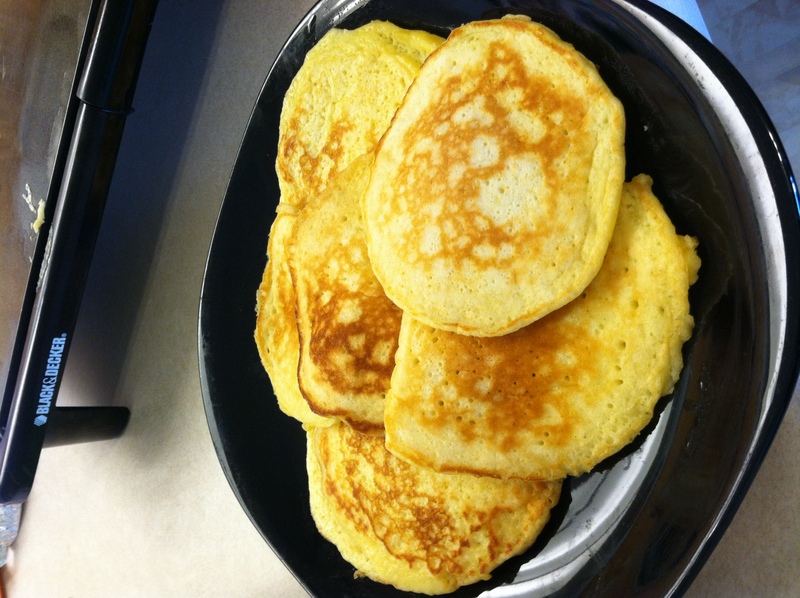 As far as the buttermilk pancake recipe, I was really pleased with how they came out. They were super fluffy and the taste was amazing. They are featured in Gwennie’s (I saw that like we are BFFs) cookbook and are a family recipe her dad made for years. I halved the recipe and I still had about about 16 pancakes! I would probably cut the salt a bit next time as they were a bit salty, but not majorly. Also I did not leave the batter to sit overnight, just sat it on the counter for about an hour or two. I think they would be a big crowd pleaser if you want to feed the masses. 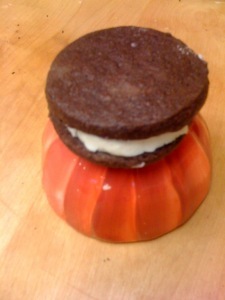 You are currently browsing the What Tara's Cookin' blog archives for March, 2012.